In 1916, the building most remember as Bamberger’s was just four years old , although the store itself was already over 20 years old. While they are not easily visible in this post card , one can discern other buildings adjacent to the Bamberger building. In fact, it took a few years for Bamberger’s to acquire and build out the entire block. 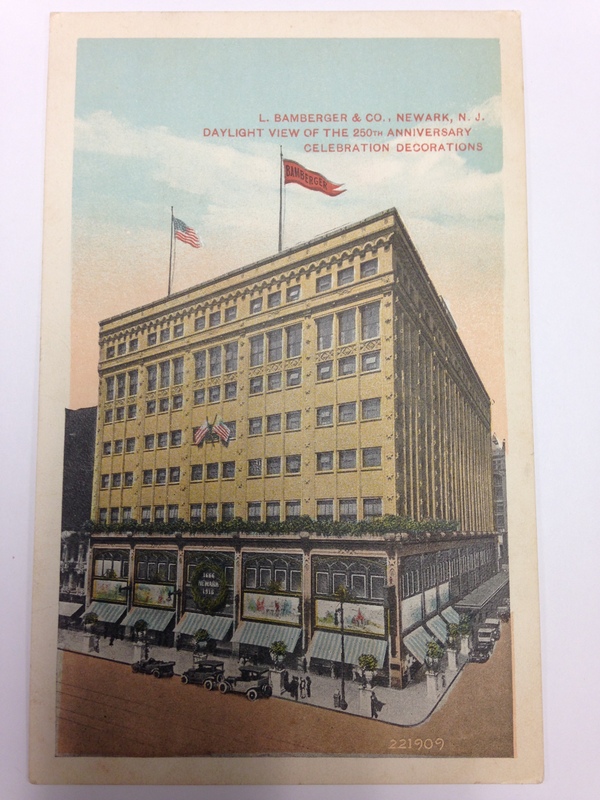 This post card shows the department store all decked out for the 250th Anniversary of Newark. A large wreath over the door says, “Newark 1666-1916” and above the display windows are seven large murals depicting historical moments.